MEET THE FUTURE OF THE FITNESS INDUSTRY! 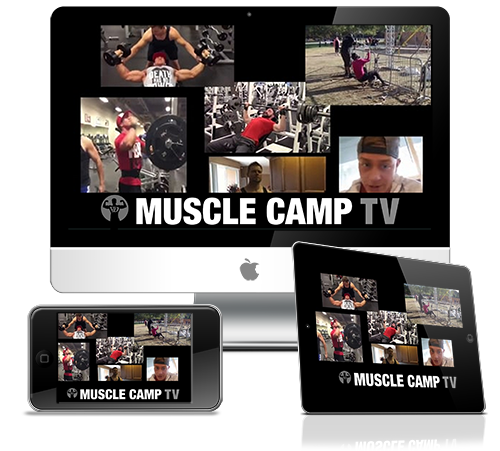 Do You Want To Start Your Transformation & Get Instant Access? When you enter your email address you will receive 5 short videos plus the 3 advanced techniques article. Plus join 65,000 subscribers with free access to my daily e-newsletter, packed with BS-free educational tips, videos, articles, motivation and personal recommendations to my favorite cutting edge programs to help you build muscle... the natural way. We hate spam as much as you do. Your information will never be shared or sold to a 3rd party. Which Includes 5 Short Online Video Episodes! © 2006-2019 Del Monte Fitness Services Inc. PO Box 40513 - 5230 Dundas Street West, Toronto, Ontario M9B 6K8, Canada - All rights reserved.